On Astrid Square this hotel׳s Antwerp city centre location provides easy access to the exclusive shopping of De Keyserlei and Meir. Guests can walk to the sparkling Diamond District in about five minutes. 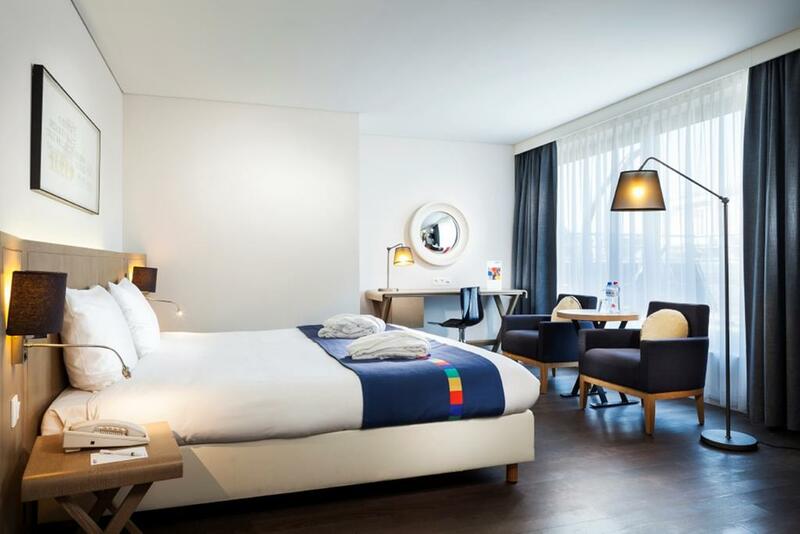 Directly across from the beautiful central rail station, the Radisson Blu Astrid Hotel is just 10 minutes by car from Antwerp Airport Deume and just 34 minutes from Brussels International Airport. Designed by American-born architect Michael Graves, this upscale hotel boasts 247 contemporary rooms, including Business Class Rooms, Suites and fully equipped Apartments. 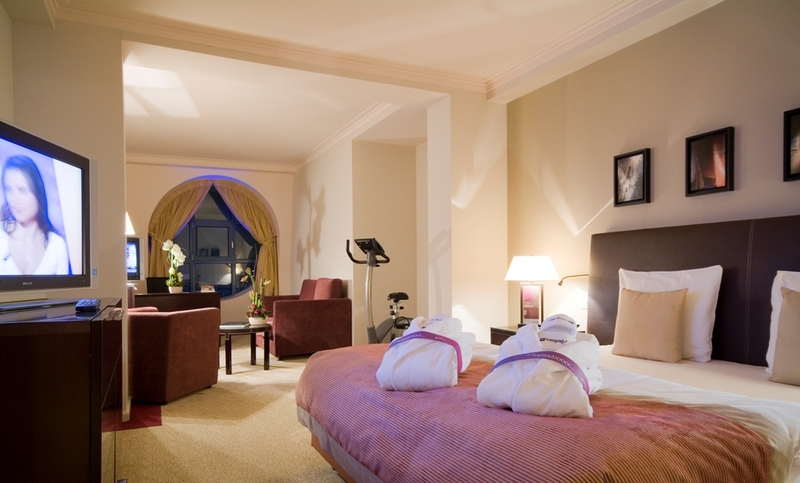 Guests awaken to plush fabrics in sophisticated tones and sweeping views of Astrid Square or the historic city centre. All these Antwerp hotel rooms include modern amenities like Free high-speed, wireless Internet access and flat-screen televisions. From interactive museums to a day out at the zoo, experience the vibrant city of Antwerp for your next family holiday. As one of the most vibrant cities in Europe, Antwerp is the ideal destination for travellers of all ages that offers something for everyone. 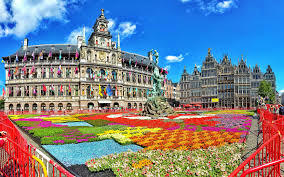 Guests can experience the hustle and bustle of Antwerp׳s city centre or visit popular attractions such as the Antwerp Zoo by staying at our hotel in Antwerp. 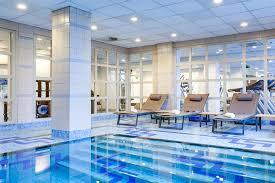 The Radisson Blu Astrid Hotel, Antwerp is family friendly and puts Antwerp׳s best attractions at your fingertips. The hotel offers 247 rooms and suites, including options for extended stays, with design by architect Michael Graves and first-rate amenities like flat-screen television and free high-speed, wireless Internet. Guests can also find relaxation via the spa services and wellness facilities at our Health Club, which include an indoor pool and Jacuzzi. Event planners appreciate our stylish conference space with 18 meeting rooms, a spacious ballroom and a convenient business center. Benny falafel: about 20 minutes׳ walk. 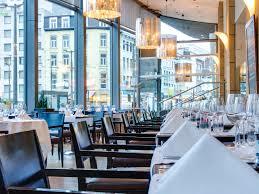 Located in Antwerp׳s city center, the Radisson Blu Astrid Hotel places the city’s beauty just outside your door. 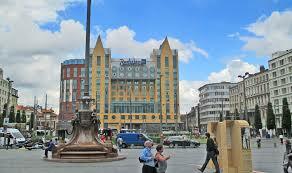 It’s an easy stroll across Astrid Square to Antwerp Central Station, an architecturally impressive transport hub. Our beautiful hotel offers views of the area’s stunning 16th-century architecture, as well as proximity to the fashion and diamond districts. The hotel offers 253 renovated rooms and suites, including options for extended stays. All are designed by architect Michael Graves and feature first-rate amenities like flat-screen televisions and free high-speed Wi-Fi. Both of our on-site restaurants offer fresh Belgian and international dishes, along with scenic views of the city center, and our on-site bar is the perfect place to unwind with a Belgian beer or mixed drink. You can also relax with our spa services and enjoy the wellness facilities at our Health Club, which include an indoor pool and Jacuzzi. Event planners appreciate our stylish conference space, which features 15 meeting rooms, a spacious ballroom and a convenient business center. 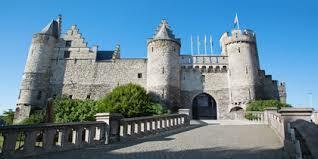 Enjoy comfortable accommodation in Antwerp with one of our 253 renovated rooms, suites and apartments. Outfitted with classic style and modern amenities like individual climate control, flat-screen television and Free high-speed, wireless Internet, these rooms also provide lovely views of Astrid Square or the city center.